Decaying building on Canal Street, Chinatown, New York City. 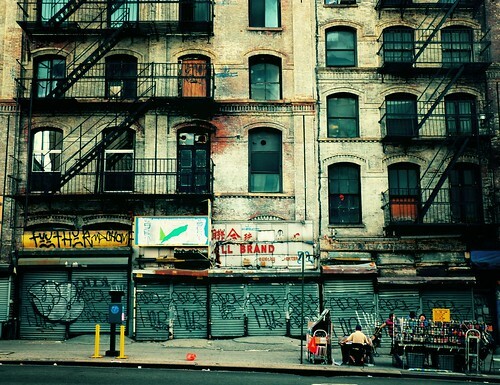 This entry was written by Christopher DeWolf , posted on Friday July 15 2011at 01:07 pm , filed under United States and tagged Chinatown, Manhattan, New York, Photo of the Week, Urban Decay . Bookmark the permalink . Post a comment below or leave a trackback: Trackback URL.